Prometheus: What’s the point of you? Who am I, and what is the purpose of my life? This assembly explores the biblical teaching about the value and meaning of our human identity. Prometheus (20th Century Fox, 2012, certificate 15). Click here to buy the DVD online. The values of Respect and Tolerance derive from an underlying belief that everyone is valuable, whatever they are able to achieve. This assembly enables pupils to explore how we can maximise our sense of meaning and purpose. Download the Call My Bluff PowerPoint for use with this activity. Play one or more rounds of the word definition game Call My Bluff. You read out a word, followed by three possible definitions of the word. The players then decide which definition is correct and the true answer is revealed. This game can either involve one or more volunteers to come up to the front to guess the answers, or could be played by pitting two halves of the audience against each other. Possible twists could be asking for a student to take on one of the teachers, preferably an English teacher (who should be expected to know about words and stuff). You could either read all of the definitions yourself, or arrange for three teachers to each offer one definition per word. Here are three words, with definitions, that you might like to use. If you don’t have time to use all three, you will need to set up the PowerPoint to the right place before playing the game. Word number 1: Flanerkin (pronounced ‘flan-er-kin’) . [click] Definition 1: a measure of wine or beer, equal to approximately three and two-thirds of a pint. [click] Definition 2: a medieval jester’s hat with no bells. [click] Definition 3: a big fat man or a big fat horse. [Click to reveal correct definition:] a big fat man or a big fat horse. [click] Definition 1: a flowering herb named for James Bolton, 18th Century English Botanist. [click] Definition 2: a dark ages kingdom in the North-West of England. [click] Definition 3: a military parade. [Click to reveal correct definition:] a flowering herb named for James Bolton, 18th Century English Botanist. [click] Definition 1: a love for the principality of Wales. [click] Definition 2: a machine for making candy floss. [click] Definition 3: an unusual affinity for funerals. [Click to reveal correct definition:] an unusual affinity for funerals. After playing one or more rounds, explain to the students that in today’s assembly you are going to be thinking some more about meanings, then go straight into the talk. Download the Identity Soul Talk PowerPoint for use with this activity. Display the quotes about the soul from the PowerPoint and read through them with the students. They are set to transition every fifteen seconds (or sooner if you click your mouse), so you could choose to let them speak for themselves, possibly with appropriate background music. We suggest Awake My Soul by Mumford and Sons, which is available on the album Sigh No More. The PowerPoint will finish before the song does, so be ready to fade out the music at an appropriate point. I was thrown out of college for cheating on the metaphysics exam: I looked into the soul of another boy. (Woody Allen). You don’t have a soul. You are a soul. You have a body. (C.S. Lewis). Whatever happens to your body, your soul will survive untouched. (J.K. Rowling). Ordinary riches can be stolen from you, real riches cannot. In your soul are infinitely precious things that cannot be taken from you. (Oscar Wilde). I don’t deserve a soul, yet I still have one. I know because it hurts. (Douglas Coupland). The soul is placed in the body like a rough diamond, and must be polished or the lustre of it will never appear. (Daniel Defoe). 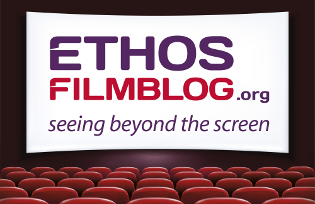 Play the clip from Prometheus (20th Century Fox, 2012, certificate 15). The clip shows part of a briefing meeting for a scientific expedition. The scientists are told that they are close to finding answers to the great questions in life – where do we come from? What is our purpose? What happens when we die? Download the Identity Prometheus Talk PowerPoint for use with this presentation. For placing a chalk cross on the machine: $1. For knowing where to place the cross: $9,999. Knowledge is a wonderful thing. To some extent, human life is defined by our unending search for knowledge. But there are some questions that, so far, we’ve never been able to definitively answer. Here’s a film clip to focus our thoughts on one of those questions. Where do we come from? What is our purpose? What happens when we die? Why is the android lacking in a soul – and what is a soul anyway? These are profound questions to which science struggles to find a comprehensive answer. But whether we call it a soul or human consciousness, we can’t deny that it exists. We are self-aware, we are creatures who think and who know that we think. Just because science is unable to provide a definitive, provable answer doesn’t mean that answers don’t exist. One of the classic works of doctrine for the Protestant church, the Westminster Catechism, states that ‘Man’s chief end is to glorify God, and to enjoy him forever’. That is to say, humanity’s purpose – and the purpose of every individual person – is to live their lives for God, and to find lasting fulfillment with him. When Jesus was asked to identify the greatest commandment, he said: ‘”Love the Lord your God with all your heart and with all your soul and with all your mind.” This is the first and greatest commandment. And the second is like it: “Love your neighbour as yourself”‘. Matthew 22:37-39, (NIV). A Christian might answer the question about what we are here for by saying we are here to love and serve the God who made us. How would someone do that? By sharing God’s love with the people around us, by caring for them and looking after them the way we would like people to look after us. If that’s right, it’s not only what we are made for, it’s also the only way we can expect to find peace. You may agree or disagree with that, but if you don’t think it’s right, it puts the onus on you to find alternative answers to the biggest questions in life. If you don’t know what life is all about, how can you get the most out of your life? Famous scientist called to help fix broken machinery. [click] Walked around machine and placed single chalk cross. His bill of $10,000 was questioned. Knowing where to place it = $9,999. Knowledge is a wonderful thing. Human life defined by our search for knowledge. Some questions we can’t answer. Here is a film clip to focus on one of those questions. Profound questions that science struggles to answer. ‘There’s no easy way of explaining consciousness in terms of known science… How can you explain the redness of red in terms of physics and chemistry?’ (Francis Crick). ‘The problem is hard because no-one knows what a solution might look like or even whether it is a genuine scientific problem in the first place.’ (Steven Pinker). ‘Steven Pinker is honest enough to say, “Beats the heck out of me.” That’s an honest thing to say, and I echo it. We don’t know. We don’t understand it.’ (Richard Dawkins). Can’t explain the consciousness/the soul, but it’s there. Just because science can’t prove an answer doesn’t mean there are no answers. Westminster Catechism: ‘Man’s chief end is to glorify God, and to enjoy him forever’. The purpose for humanity is to live lives for God and find lasting fulfillment with him. A Christian might say we are here to love and serve God. How? By sharing God’s love with the people around us. If that’s what we are made for, it’s the only way we can find peace. You’re free to disagree, but if you do you need another answer to the question of what your life is all about. Dear God, thank you that we are more than just machines. Thank you for the indefinable sense of ourselves that makes up our soul. Help each of us to find honest answers to the big questions in life and for the search for those answers to bring us into the truth. Amen. Do you ever think about the big questions in life? How and where have you looked for answers? Do you think there is such a thing as a right answer to these questions or is everybody’s answer equally valid? Awake My Soul available on the album Sigh No More By Mumford and Sons. Categories: Assemblies (Years 7-11), Self, Times and Seasons, Values and Decisions, World and Community | Permalink.